There’s lots of reasons you may prefer warmer weather over the cold. Not only is cold weather hard on your body, but braving the winter in favor of summer vacations can also be hard on your wallet. In this post, we'll outline five reasons why winter vacations are simply the best, as well as some locations that will instantly cure any seasonal disorders. So put away that parka, step outside, and let the sunshine in. Researchers at Central Washington University claim that 77% of people are vitamin D deficient because they don’t get enough sunlight. Let’s face it – you’re probably more motivated to exercise, or just get up and go, when it’s nice outside. The couch and TV just look a little less appealing when the sun is shining through on a clear day. When you travel in the colder months and experience warm weather year-round, exercise and physical activity become the norm. We all spend so much money on presents that often times just end up buried in the closet. Why not allocate some of that Holiday cash for a trip to a tropical destination for you and your loved ones? Also, airlines often offer lower rates during the colder months. Depending on the destination, accommodations and beaches can be less crowded during the winter months. The means not only better deals, but also less lines, less traffic and overall less stress. Oahu, Hawaii - Big wave season in Hawaii happens roughly between November and February on Hawaii’s north shores. You can watch surfers on every island, but some of the best surfing competitions in the world are held on Oahu’s North Shore - just a 5 minute walk from Outsite Hawaii - in November and December, including the biggest them of all, the Vans Triple Crown of Surfing. San Diego, CA - While many other warm weather destinations might vie for attention, San Diego appeals for its temperate weather which averages around 75°F (23.8°C) for most of the year. Its attractive spaces, people and places offer an excellent introduction to Southern California’s many charms and make it the perfect winter destination. 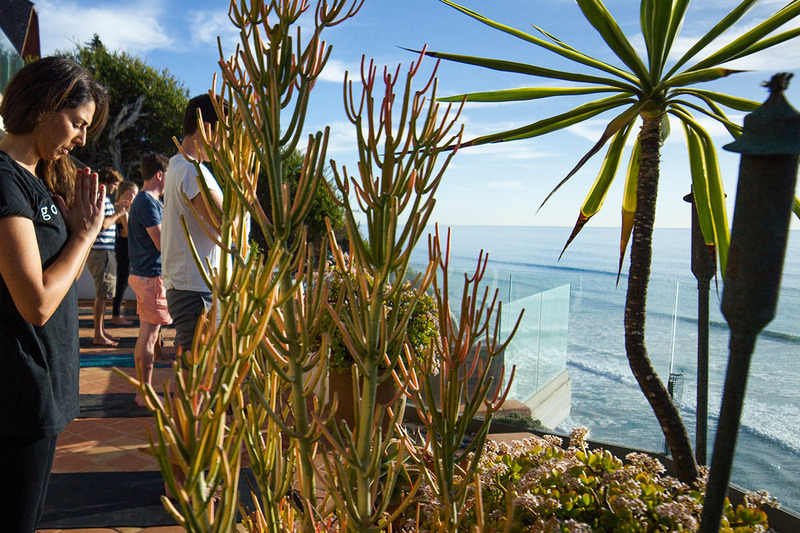 Our Outsite San Diego house is located in Encinitas, voted best surf town in the U.S. by Surfer magazine. Venice Beach, CA - Other than colder water and slightly cooler weather, the Venice Beach area in the winter is similar to its summers: artist and creative types, quirky shops, good restaurants, and sandy shoreline. Ocean Front Walk is like a 3-ring circus in the best way. Bejuco, Costa Rica - The Outsite Costa Rica property boasts instant access to one of the most pristine beaches in the world. The community of Bejuco is quaint, surrounded by farm land with most of the local residents subsisting on agriculture and ﬁshing. The most popular time of year to visit Costa Rica is in December and January, when everything is still green from the rains, but the sky is clear. The dry season, considered summer by Costa Ricans, is from mid-December to April. This time of year boasts plenty of sunshine making it an ideal time for exploring rainforests and lounging on beaches. Get a boost for your health, spirit and wallet this winter and travel to sunnier skies. Escape winter at Outsite by taking advantage of our locations around the world.